Firstly, I was amused by a reference to this video (on Youtube) being "top quality" by the uploader, which was meant as a joke. Of course, not many home video recordings from the late 70s and early 80s are likely to be of premium quality! 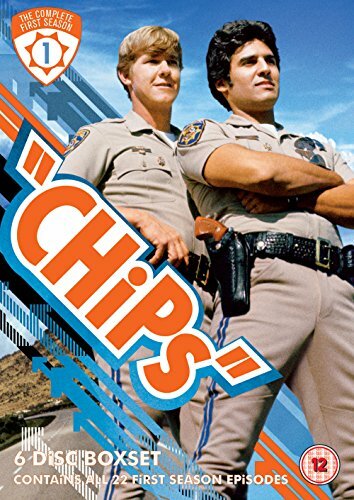 CHiPs was an Amercian action-crime TV series which was produced by MGM and originally aired on NBC between September 1977 and July 1983. In effect the show could be classed as both a 70s and 80s TV show! 139 episodes were made and shown over six seasons. 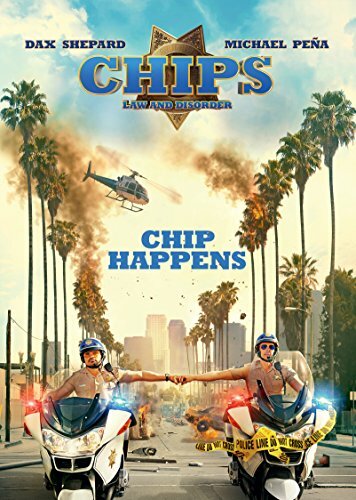 The main characters were two motorbike police officers who worked for the California Highway Patrol. 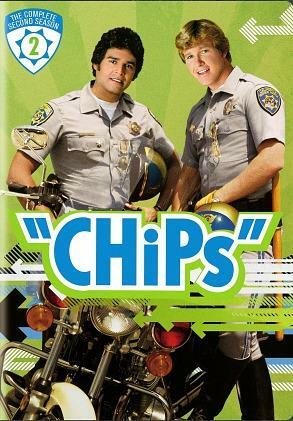 Frank "Ponch" Poncherello was played by Erik Estrada and Jonathan (Jon) Baker was played by Larry Willcox. Joseph Getraer (the boys Sergeant) was played by Robert Pine. 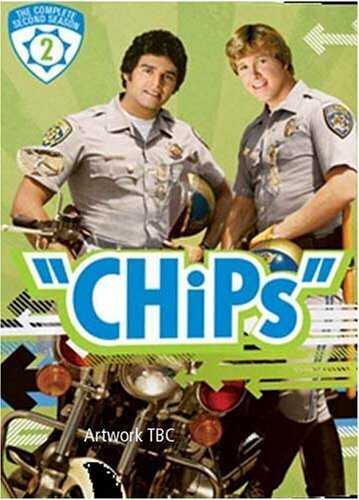 Ponch was more prone to getting into trouble, whilst Jon Baker was a bit more straight-laced and was usually getting his partner out of trouble! The show featured a mix of comedy and drama - it was never particularly violent - and often featured vehicle pile-ups. Estrada was replaced for seven episodes of the fifth season by Bruce Jenkins (he played Officer Steve McLeish) due to a strike over syndication profits, or something to do with money, at least. Also, Wilcox didn't appear in the sixth and final season, apparently over favouritism being show towards Estrada. Rumour has it that the duo didn't always get along when the cameras were switched off. Hmm, sounds like it! 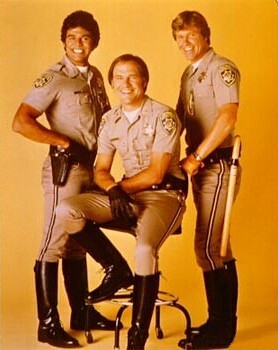 The show's creator, Rick Rosner, worked at the Los Angeles County Sheriff's Dept. as a reserve deputy. Whilst on a tea break during an evening shift around the mid 1970s, he noticed two young CHP officers on motorbikes, which gave him the idea for the series. Rosner also created 240-Robert which originally aired on ABC from 1979 to 1981. 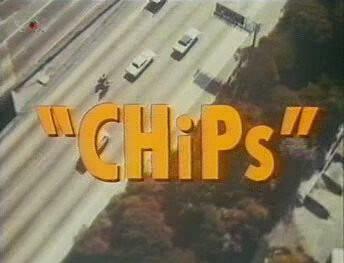 In the UK, CHiPs was first broadcast on ITV on Saturdays at 5:35pm, although the London region had to wait until 1979. In 1980, the series was moved to Sunday teatime. 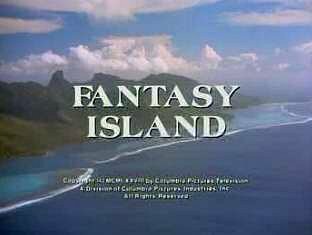 By 1981, the series was shown at different times in different regions across the UK. It is the Saturday teatime slot that I remember most fondly, and this was shared with other U.S. shows such as Magnum P.I. and Knight Rider. Both Wilcox and Estrada performed many of the smaller stunts and were involved with the majority of the motorbike riding. However, stunt doubles were used for major stunts. Apparently, Estrada received many injuries during his time in the series. The most serious accident occured whilst filming an episode during season three in August 1979 when he broke both wrists and fractured several ribs. Both the accident and his time in hospital had to be incorporated into the storyline. In this video clip from the TV series, a trailer explosion blows the CHiPs off their bikes. Nice stunt!